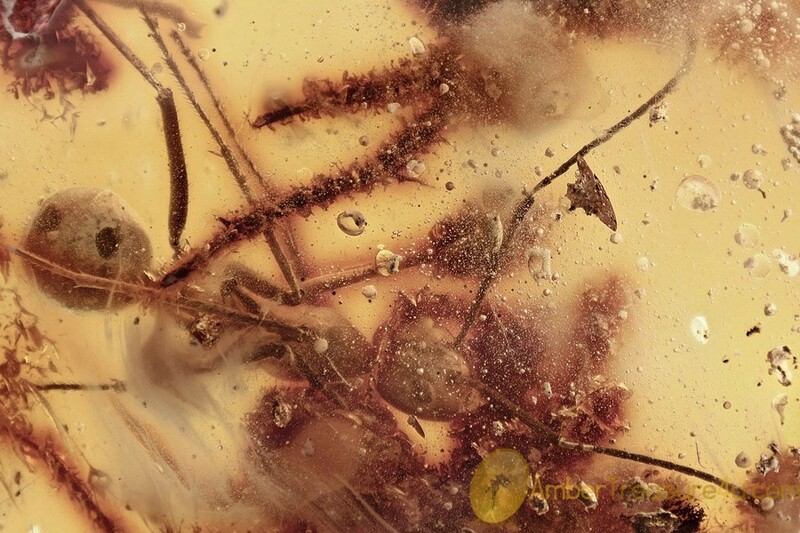 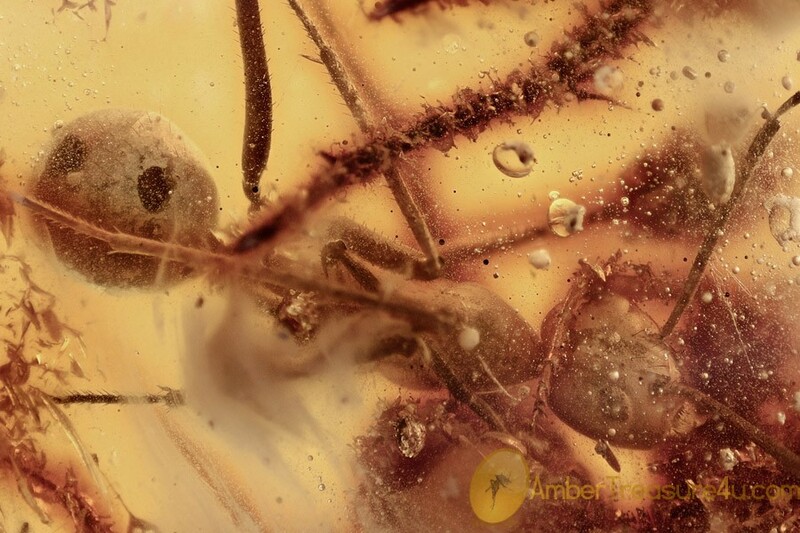 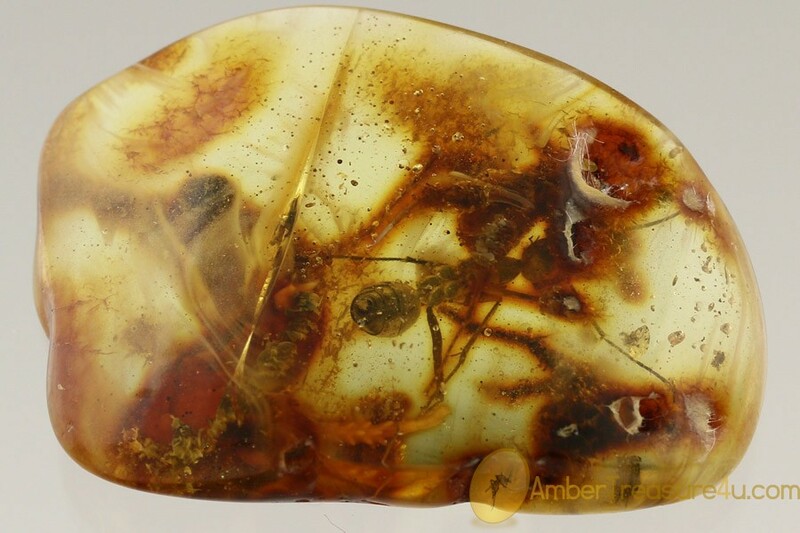 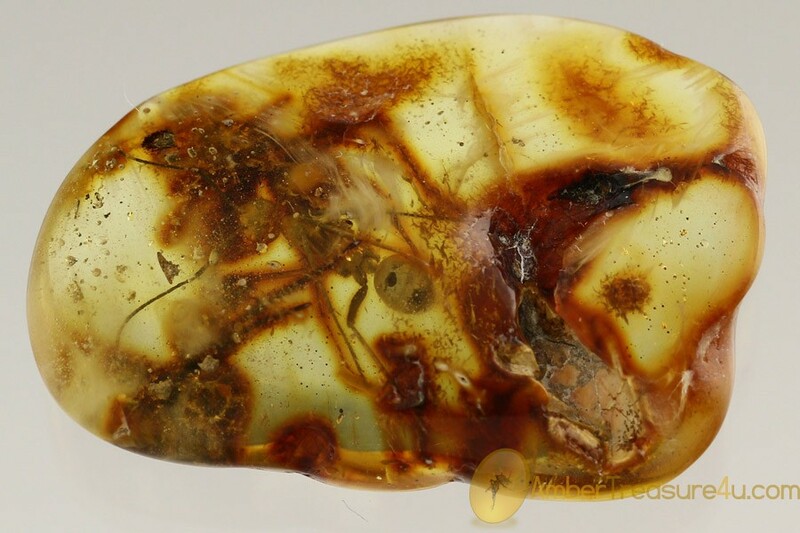 Baltic amber stone with fossil insects - unusual big giant ant Formicidae and oxydized vestiges of other giant insects. 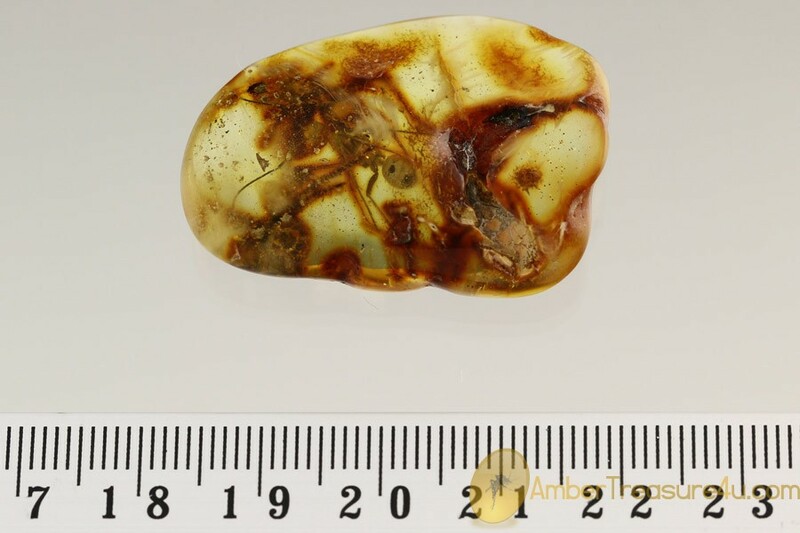 It weighs 4.4 grams. 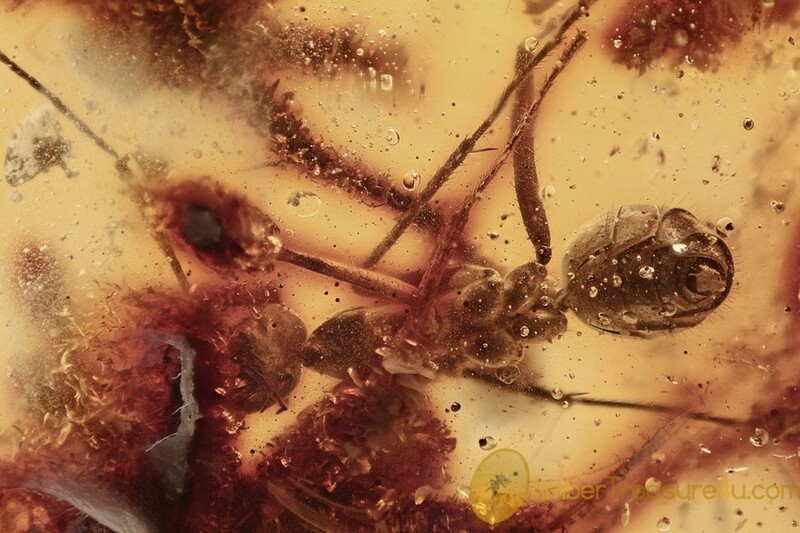 Measurements of stone 36x26x9mm, length of insect body and head ~ 10.5mm, max ~ 20.4mm.